The founders of Vegan Proteins and PlantBuilt have been coaching athletes of all levels to reach their fitness goals since 2012, and have each been vegan for fifteen years. Through detailed one on one coaching, Dani and Giacomo each bring their strengths to every athlete they coach. Check out their Testimonial page to hear what clients are saying or the About page to learn more about each of them! Giacomo has been an athlete for as long as he can remember and with over 20 years of competitive history, he has a unique perspective on longevity in training and nutrition. Paying close attention to detail, he thinks outside of the box to help clients find the best possible ways to reach their goals in powerlifting, bodybuilding, or general fat loss and muscle building. Dani has a different story. She grew up very overweight and lost 80 pounds on her own before finding strength training. Over the last 15 years she has turned her health and physique around, winning trophies in natural figure competitions and working as a successful vegan personal trainer to coach hundreds of vegan athletes, including nearly 50 vegan bodybuilders, to the stage. 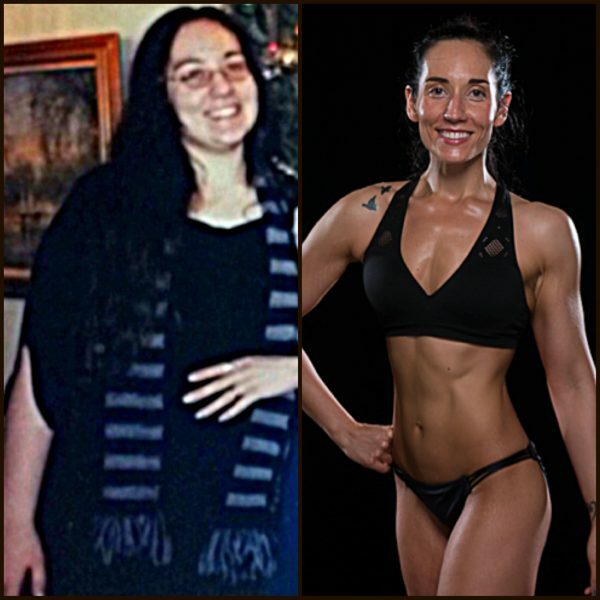 Her unhealthy upbringing and extreme physique transformation gives her a unique perspective and the ability to meet a client wherever they are at and lead them forward. Receive either a meal plan or macro guidelines and guidance, depending on your level of comfort and experience. Receive personalized training programs to help you reach your goals safely and efficiently. Receive weekly or bi-weekly detailed feedback and updates. Access to private web portal and secret Facebook group for client support. Vegan, or willing to eat a vegan diet. Experienced in the weight room – meaning you’ve learned proper form with compound lifts and have access to commercial weight training equipment. A fan of all the vegan food groups! We do not specifically promote or advise for soy free, gluten free, sugar free, oil free etc. We believe inclusion of as many foods as possible is important for long term success. Allergies are something we can totally work with, but people who are afraid of whole food groups, and are not willing to work towards incorporating more of them, will probably not work well with our style of coaching. Willing to put in some hard work! It takes a certain kind of internal motivation for an online vegan fitness coaching relationship to work, since we are not there in person to push you. While we do my best to motivate from afar, you have to have a fire in you to work harder, get stronger, and learn more about how your body works best. You don’t necessarily have to be an athlete, but thinking like one is definitely a plus. Does this sound like you? Then we’d love to hear from you. If you’re serious about working with us and are ready to take the next step towards a balanced and fit life, check out our current services offered and fill out the contact form below. Because we pride ourselves on providing the best services to each and every one of our clients, spaces are limited, so serious inquiries only please. There are several levels of coaching available, and limited space for each. Macro Counseling Only: Have the freedom to create your own meal programming with foods you love, while having your macro-goals updated with bi-weekly check ins that are in line with your physique and performance goals. Nutrition Coaching Only: If working with just sets of numbers intimidates you, you can receive full nutrition coaching which includes meal planning that works with your lifestyle and dietary choices (all vegan of course!). Have the guess work taken out of your diet by having us create well planned pre and post workout meals and time your food appropriately to reap the most rewards for your hard work. Bi-weekly check ins will be done to update your food plans appropriately. Macros + Training: Macro calculations and full personalized and periodized training programs, including cardio. You will check in weekly to receive updates to your macros and training programs will be updated appropriately as you progress. Full Coaching: You will develop a pretty close relationship with your coach as you will be checking in weekly and receiving full nutrition and workout coaching, cardio and supplementation suggestions. All guess work will be removed and all you will need to do is put your nose to the grindstone and work your plan. Competition Prep: For those interested in competing in the sport of bodybuilding (vegan bikini competition, figure, physique and bodybuilding), this is an intense coaching package that includes twice-weekly checkins, full nutrition, training, cardio, supplementation, and all things for the stage that many do not think about. For example, suit choice, posing, tanning, jewelry, hair/makeup, presentation, peak week, back stage pump-up, etc. If you cover the travel costs, we are also available to fly out to your show and handle you on show day in person. All programs include text communication, check ins and updates through our private website, and access to our clients private Facebook group for support. We are also available for Skype or phone consults to discuss your goals and the best course of action to reach them. You can also check out Dani’s E-Book, Flexible Dieting for Vegans which is a very accessible 100 page ebook that teaches you how to be your own vegan diet coach step by step whether you are looking to shed fat, build muscle or both! For more free information, be sure to subscribe to our bi-weekly podcast Muscles By Brussels Radio and follow both Dani and Giacomo on Instagram for continuous nutrition and fitness advice. Lastly, be sure to sign up for our FREE 14 day Body Image Confidence course here. As soon as you sign up, you will get your first video email, and you will receive one every day for 14 days, each discussing a practical action step you can take today to help increase your self confidence.